An SEO Strategy Specifically Created For Plumbers! Plumber Marketing Backed by Quality Content and White Hat Linkbuilding! Harnessing the power of the internet is pivotal to ensuring your plumbing business succeed online today. Search Berg proudly works with plumbing companies across the United States and around the world. Just like plumbing companies have to create highly localized traditional marketing strategies to capture business opportunities, the case is same with digital marketing. A visible increase in organic traffic—more visitors means more calls and more appointments! White Hat Linkbuilding strategies keep your website safe from penalties and provide long term rankings and traffic. Low bounce rate, strategic keyword mapping, quality content and CTAs that work! We are so confident that we can deliver quantifiable results to practicing plumbers, that we offer a 30-day no hassle money back guarantee. 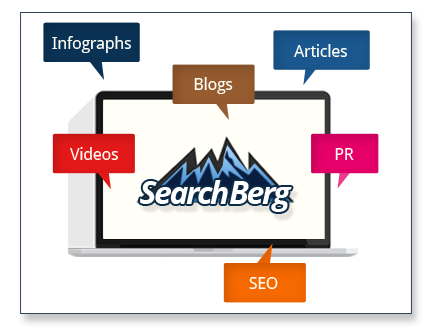 If Search Berg is unable to rank your website in Google, we will refund your retainer no questions asked! So what are you waiting for? Start monetizing your website today and take your plumbing business to the next level! Content Driven Plumber SEO For Your Practice That Delivers All the time, Every Time! Take your plumbing business to the next level with Plumber SEO.